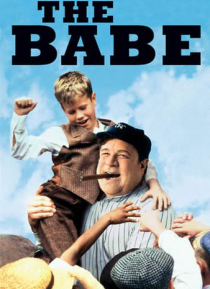 George Herman "Babe" Ruth (John Goodman) grows from a troubled boy who was sent to an orphanage to one of the most successful baseball players on record. Babe first becomes a power hitter and pitcher for the Boston Red Sox. After a falling-out with Red Sox owner Harry Frazee (Peter Donat), Babe is sold to the New York Yankees. He is idolized in New York, setting a record for home runs, as well as … creating dramatic moments like hitting two homers for a sick boy in the hospital.